SKU: N/A. Tag: Clementine Cannabis. What is the Clementine Cannabis Strain? 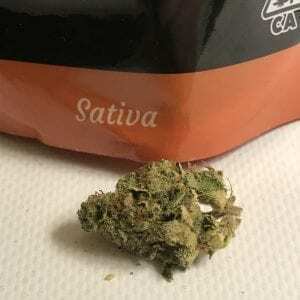 Elites Clementine Cannabis strain is among the most potent sativa strains anywhere on the market. Clementine itself is a pure Sativa strain stronger than most other strains available today. The effects of smoking are immediate, and you will certainly notice when they hit you, which they will. You will be happy, giggling, creative, energetic, and very much awake. This is not a strain to consume before climbing into bed. The only climb you are likely to make is something akin to Mount Everest. How will i feel after using the Clementine Cannabis Strain ? Elite’s Clementine removes most pain within minutes, and because of its insane potency, most other worries, as well. Patients use it to stimulate appetite, numb pain, relax muscles, remove stress, stay awake, relieve gastrointestinal issues, and so much more. Its flavor of sweet oranges is unforgettable, and since it boosts productivity, it is very popular for use during the day. Although patients benefit most from Elite’s Clementine cannabis, anybody can. Recreational users love this cannabis too, especially its mouthwatering citrus taste, smooth draw, and near unrivaled potency. Good strain and lovely flavor!!!!!! Very awesome and pure strain!! Top quality Clementine, So happy! Best flavor of herb around!